Originally meant as a replacement of SMS, WhatsApp on iOS is specifically available only for the iPhone. So, if you want to use WhatsApp on iPad or iPod Touch, you’d need to look for tweaks or workarounds. Some of these workarounds, which are available on the App Store, require you to scan a QR code with the official WhatsApp app, in order to login to your account. These apps basically just launch the web version of WhatsApp inside an app container, which is not a feasible solution. However, there are some tweaked versions of the original WhatsApp application, which are rebuilt to include iPad and iPod Touch support. Such tweaks are usually not available on the App Store, so in order to install them, usually jailbreak is required. 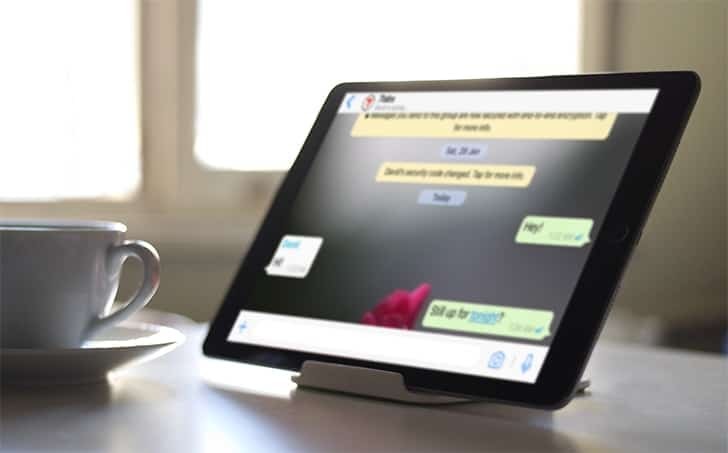 WhatsPad++ is one such app, which allows you to use WhatsApp on the iPad or iPod Touch, just like using it on the iPhone. But here, we will guide you to install WhatsPad++ on your iPad and iPod Touch, without jailbreaking the device. In the following steps, we will use Cydia Impactor tool to sign the WhatsPad++ IPA file, so that you’ll be able to install the app on your non-jailbroken iOS device (iPhone, iPad, iPod Touch). Note: You need a Mac or Windows PC with iTunes installed, for Cydia Impactor to work. Download the WhatsPad++ IPA from this page. Launch Cydia Impactor; drag and drop the downloaded WhatsPad++ IPA file on to the application window. Next, click OK on the Apple Developer certificate warning. The intended app will now be installed on your iPad. Before launching the app, go to “Settings >> General >> Profiles” on your iPad. For some users, it may also be “Settings >> General >> Device Management” or “Settings >> General >> Profiles & Device Management”. Tap on the profile that corresponds to the Apple ID provided in Cydia Impactor, and then tap on Trust. Now go back to the Home screen, launch WhatsPad++ and setup your account. You do need an actual phone number to confirm the same. Once the setup is complete, you can use WhatsApp on iPad or iPod Touch, like you usually do on your iPhone. Note: The Cydia Impactor free certificate will expire after 7 days, after which WhatsPad++ will no longer work. To continue using the app, you need to re-sign it using Cydia Impactor and reinstall it. If you already have a developer certificate though, it will be valid for a year. If the provided IPA above is not working for you (the app prompts you to install an updated version), just leave us a comment below.